DOVER – With Delaware’s annual wild turkey hunting season approaching, DNREC’s Division of Fish & Wildlife Hunter Education Program reminds both resident and non-resident hunters that they must pass a turkey hunting course approved by the Delaware Division of Fish & Wildlife before they can legally hunt turkeys in the First State. Other hunter education requirements also apply for anyone hunting turkeys in Delaware. 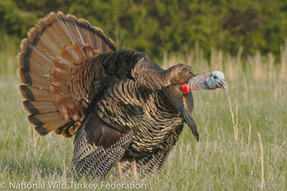 These requirements have collectively helped Delaware turkey hunters achieve an excellent hunting safety record.